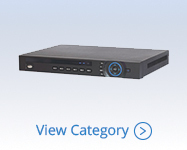 32 camera Tribrid DVRs accept Analog, HD-over-Coax and IP cameras. 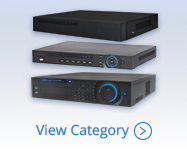 Pair our 4 channel Tribrid DVRs with up to 4 Analog, HD-over-Coax or IP/Megapixel cameras. Use these DVRs to upgrade your current surveillance system to HD in stages or all at once for 720P or 1080P HD surveillance. 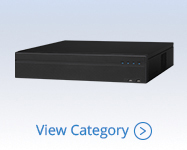 Pair our 8 channel Tribrid DVRs with up to 8 Analog, HD-over-Coax or IP/Megapixel cameras. Use these DVRs to upgrade your current surveillance system to HD in stages or all at once for 720P or 1080P HD surveillance. 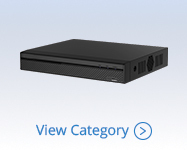 Pair our 16 channel Tribrid DVRs with up to 4 - 16 Analog, HD-over-Coax or IP/Megapixel cameras. Use these DVRs to upgrade your current surveillance system to HD in stages or all at once for 720P or 1080P HD surveillance. Use Tribrid DVRs to upgrade your current low quality Analog surveillance system to 720P or 1080P HD in stages or all at once for HD surveillance. Combine Analog, HD-over-Coax and IP/Megapixel cameras for a truly custom surveillance solution.